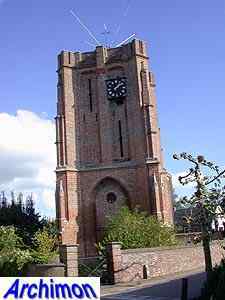 The reformed church of Acquoy is mostly of importance for its tower. 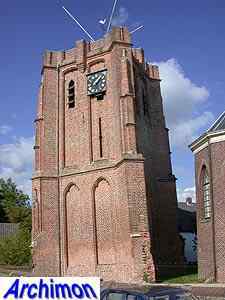 This leaning tower was built in the late-15th century and was originally three segments tall. 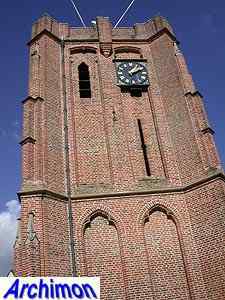 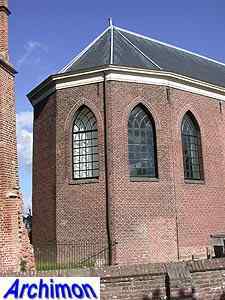 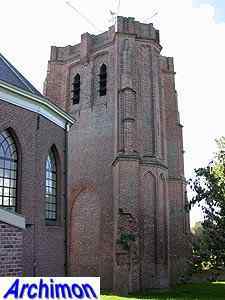 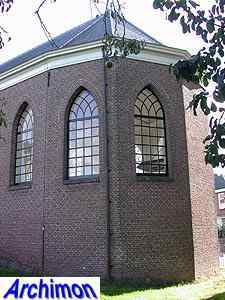 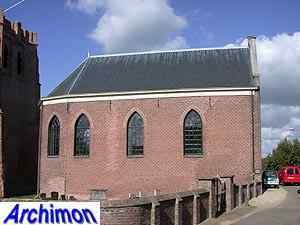 Like the tower in nearby Beesd it shows close similarities in style to Campine Gothic towers in the province of Noord-Brabant, with its heavy, diagonally positioned buttresses and the deep niches in its walls. 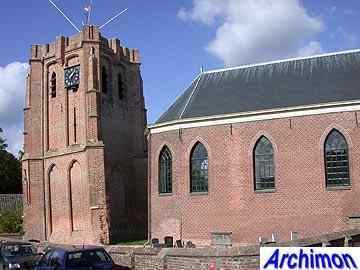 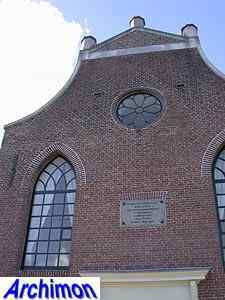 In 1674 a storm damaged the church and the tower. 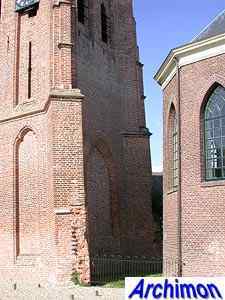 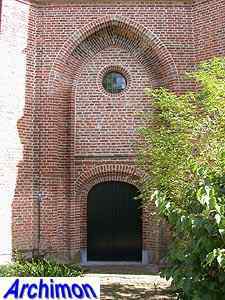 In the 18th century the upper segment of the tower was removed, exceptt for a small part. 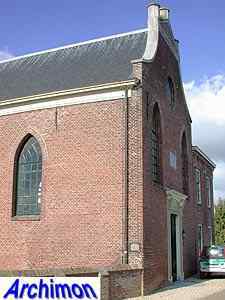 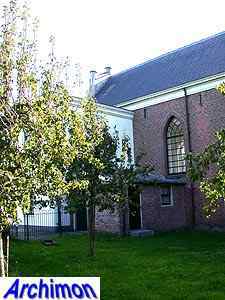 In 1844 the medieval church itself was, after a long time of neglect and decay, completely replaced by a new, one-aisled building in simple neo-Classical style.